“Margot lit a flame in us and in so many others, none more so than the people that rallied around during the darkest days. It was these same people, you, that helped us find purpose and at times, perspective, even when going through something as unthinkable as losing a child. 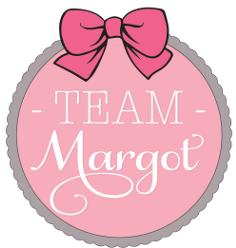 We’ve taken to calling & referring to these wonderful people as: Team Margot. This was part of what I said at Margot’s funeral service on 4 November. The benevolence & goodwill of people never ceases to amaze us and we still feel this way. As Margot’s legacy spreads, Team Margot continues to grow in all corners of the globe. Lari Burson, who is based in Austin, Texas is one of the many volunteers whom we haven’t ever actually met, and yet are finding the time to organise donor registration events in their local community. And not for the first time. Below, in her own words, Lari explains what she’s doing, why and how you can help – this Saturday ! Please come register! Join us during the Rotary Spirit of Sharing Fun Fest at Harper Park on Saturday, April 25th! 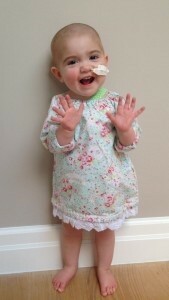 Last year I learned about a baby girl named Margot Martini, a 14 month old who was diagnosed with 2 types of blood cancer. Her story captured my heart and never let go. Margot needed a lifeline; she required a stem cell transplant in order to survive. The problem was (and still is) that there are NOT enough people registered to be stem cell donors. 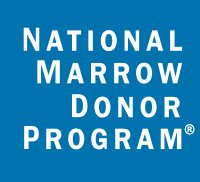 Only about 40% of people diagnosed with a blood cancer ever find a donor match; an unfortunate statistical reality indicative of the small enrollment in our nationwide registry. Simply put, the registries are not populated enough to select from. People with a genetically mixed ethnic heritage like Margot have even a lesser chance of finding a donor match; about 20%. The registry I’m referring to is a collective database of people who have volunteered to be potential stem cell donors. Sadly, some people die because they were unable to find a donor match and missed their short window of opportunity to have a stem cell transplant. The Martini Family campaigns for “Just One More”; just one more person to register to be a potential lifesaver! No mother should have to feel such uncertainty and no father should have to campaign to the world for someone to save his daughter’s life in the very midst of her illness. Surprisingly, a simple cheek swab and a short list of questions are all that is needed to register! You could be someone’s HERO and have the opportunity to live your days knowing you changed the life of not just one person, but their entire family. It might be someone you know, someone across the world, or you may never be called on. Since Margot passed away, I have watched the Martini family continue to campaign to the rest of the world in an effort to help complete strangers because they do not want anyone to experience what many do… The wait, the uncertainty, the fear, and the awful feeling of just being afraid to hope. 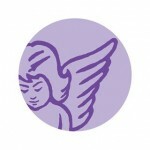 They want anyone who is in need of a donor match to be able to find one easily and to not have to wait. I am amazed by this family, moved by their struggle and loss, and inspired by their dedication and determination. I am hosting this drive in honor of Margot Martini. I know that lives will be saved if we can all join together to increase our donor registry worldwide. The Fun Fest has been generous enough to allow me to set up a table to raise awareness and take registrations for potential stem cell donors during this wonderful event. No purchase necessary, no financial donation required, no appointments… Please show up to give “Just One More” and volunteer to be someone’s hero. Thank you to Amy”s Ice Cream for donating ice cream vouchers for the first 40 to register!! !